Dr. C. Collins, PhD, MBA, MCP, CLC, MSc, MPM™, CIPM™, IWWP, CPM, CAC: CEO - Lignum Technologies (Bahamas) Ltd.
Frank Dumoulin, TEP, MICA, AICB, CFP®, CWM®, MBA - Global Advisory Council - Geneva, Switzerland Steven J. Ricks, MPM®, CIPM®, PMP®, IPMA-D®, (aCPP.D™, CPRM™, CPE™, EPM, FAAPM; Chief Consultant - Strategy, Program & Project Management; Washington, DC USA -- IMCB Global Advisory Council Member. Godsway Seth Jokinson Djokoto, MMC, CFA, ACCE, CEPA, FGIM, P.Ch.Dip.Forensic Audit(ICAG), MBA(Fin.pursing) OUM, BBA(Acc), ICA(III), CIBG(III). - President, Index International Inc.
Prof. (Dr.) Niranja C. Bhat, Hon. Global Advisor for AAFM and AAPM, International & Grand PhD, FAAPM / FAAFM, MPM / MQM / MMC™, CIPM, GPM, CPD and MFP - India. 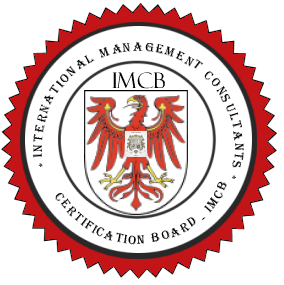 Antoine M Basbous - MBA - CPM - CBMC - CCEO - FIMS - FIMCB - Fellow Member at the Global Advisory Council. S.A.V. Paul, FAAPM, M.Sc., MPM™, CIPM™, MBA. (Reading)-Global Advisor to the Council on Political, Economical and Educational Affairs. Antony Kim MUSAU, MBA, BSc Mathematics, CPA, CIA - Corporate Finance and Economics - Nairobi - KENYA. Prof. Pedro M. Martins, B.Sc., M.Sc., PhD (candidate), MBC, Chartered Fellow CIPD, Dean of EABS - Euro American Business School and Chairman of PM International Consulting - São Paulo / Brazil - Global Board Advisory Council"
Mr. Roberto Guandique, IBM Certified PM & SME Contingency Planning/Risk Mitigation. RealTech International, Inc. Sr. Manager, Atlanta, GA. USA, Global Advisory Council. Prof. Dr. Sean P. Rozario, DFA, MBA, MPM ™, MFP, FAD, CWM, MFC - Advisor Asia and Singapore. Ashraf Al-Astal, MBA, BSc, MPM, PME, CIPM, MCSE - Project Management Engineer - Gaza, Palestine - Hon Glo. Adv. Ubakeyen – Precious Mmarak UDOKANG, FCA, FCFM, (Usa) CCA, FAAFM, ACMA, ACTI, ACFE, MNIM, MBA(France). Cost Controller, Bollore Africa Logistics, Nigeria. Global Advisory Council Member. Peter L. Rivera, MBA, RFS ·Director of Finance, Montefiore Hospital - CHAM, Community Pediatrics - Global Advisory Council Member. Arogundade Olatunde AIPFM, ACE, AIPM, AGARP - Global Advisory Council Member. Dr. Ali Bostakian, DBA, PhD, PDM, MMC, MPM, MBA, CBM, RPT, CHDT, CHRA, -- CEO, Enterprise Academy, Canada -- IMCB Advisory Council Member. * The Advisory Council may Propose or nominate new members, Vote on special resolutions, Contribute research and jobs infornation to Group and Networks, Publish papers and articles, or petition to Open a Chapter *The above professionals may also be on the honorary advisory board of the Academy of Project Management. Because of articulation between the AAPM and Management Consultants, there are global honorary advisory relationships between both organizations.